It really looks nice. And it looks like they put a lot of effort into making it look green and royal. Illusions of grandeur? Or a good sense of humor? 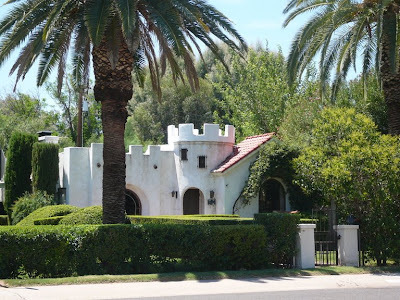 The architectural style of this castle looks like it belongs in Great Britain. The white color of the house and the palm tree look like Greece or the southern coast of Spain.